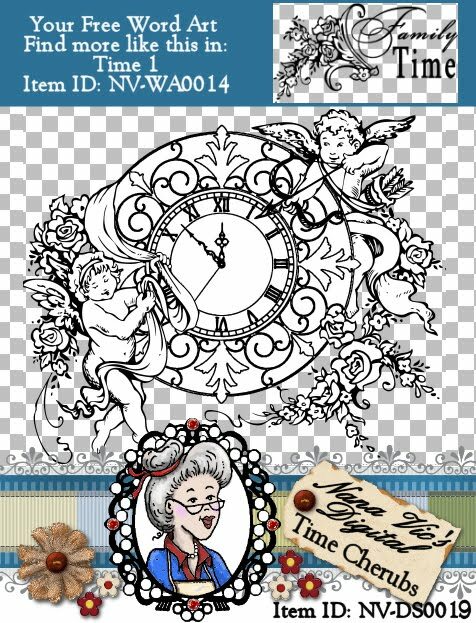 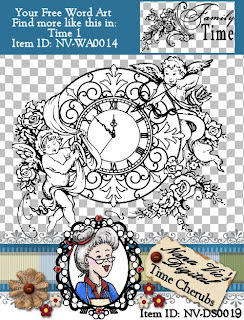 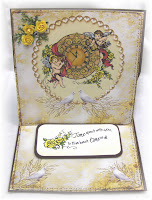 Description: This is a beautiful digital stamp that has 2 sweet little cherubs playing around a decorative clock. 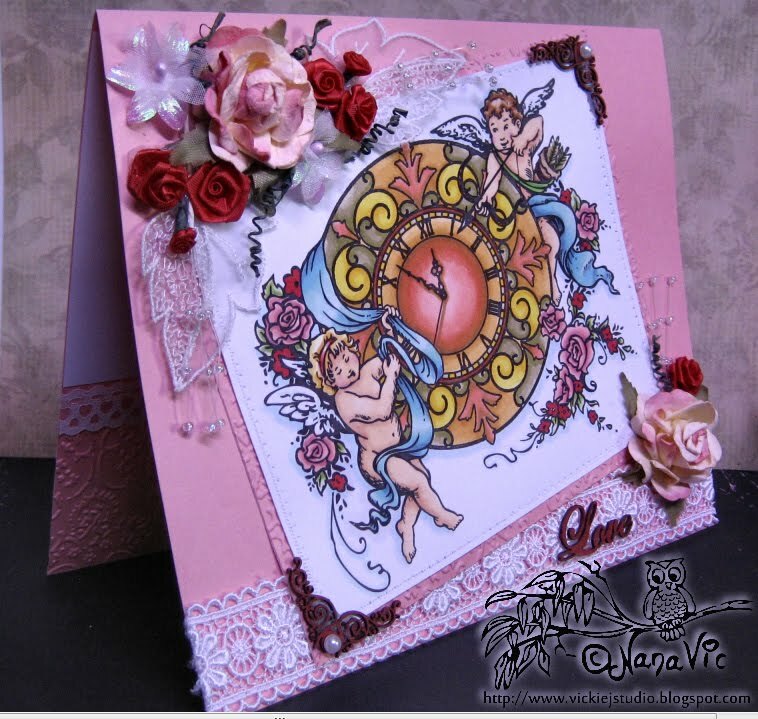 One has his bow and a bag full of heart shaped arrows and the other is holding a trailing ribbon of material. 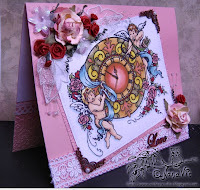 Both are surrounded with old Victorian roses.